Like the Stigmata, the Crown of Thorns is a extraordinary mystical gift of God given to select victim souls, that they might participate more fully in union with Jesus for the conversion of sinners. 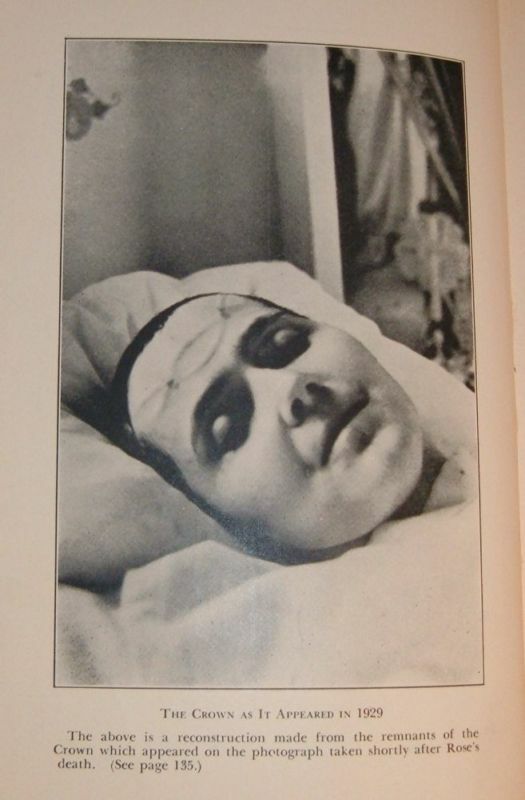 A good portion of the Stigmatics have also bore the Crown of Thorns, such as St Julian of Norwich, St Catherine of Siena, Domenica Lazzeri [who's crown of thorns puncture wounds were once counted and there were exactly 40 puncture wounds], Blessed Anne Catherine Emmerich and Therese Neumann to name just a few. The thorn stigmata never completely disappeared. When Rose uncovered her head, we could always see them, although they were not so active as before. But when her sufferings were at their height, the stigmata turned red and a kind of serum oozed from them. "Towards the end of November, 1929, the writer [Father Boyer] was in Rose's room, waiting till she came out of ecstasy. There was a lady with us, who had been helping Mrs. Ferron to dress her. I was then told by the mother that Rose had a crown. 'It is like two heavy cords,' she said, 'that encircle her head.' The outlines of the crown were quite visible on Rose's bandage which she always wore tightly fitted to her forehead. I was offered to see them; but I refused, more to show her that I attached no great importance to such signs. "On January 3, 1930, Father Leonard called on her. In his notebook, he tells us that the crown consisted of two branches well outlined, produced by heavy swelling of the flesh; they were an inch apart and intersected, over each stigma. 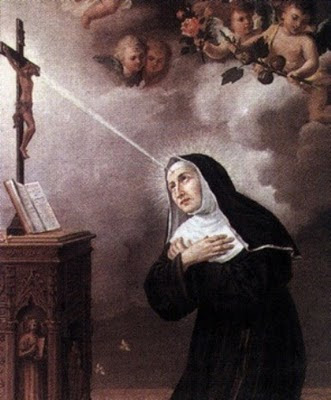 One of the Saints who experienced only one wound of the Crown of Thorns stigmata was St. Rita of Cascia (1381-1457). One day, she went with the sisters of her convent to the Church of St. Mary to listen to a sermon preached by Bl. James of Mount Brandone. The Franciscan friar had a great reputation for learning and eloquence and spoke about the Passion and death of Jesus, with particular emphasis on the sufferings endured by our Saviour's Crown of Thorns. Moved to tears by his graphic account of these sufferings, she returned to the convent and retreated to a small private oratory, where she prostrated at the foot of a crucifix. Absorbed in prayer and grief she declined, out of humility, to ask for the visible wounds of the stigmata as had been given to St. Francis and other Saints, but asked instead for one of the thorns so that she could experience this suffering for love of our Saviour. Concluding her prayer, she felt one of the thorns, like an arrow of love flung by Jesus, penetrate the flesh and bone in the middle of her forehead. The wound, in time, became ugly and revolting to some of the nuns, so that St. Rita remained in her cell for the next fifteen years of her life, suffering excruciating pain while engaged in divine contemplation. Added to the pain was the formation of little worms in the wound. At the time of her death a great light emanated from the wound on her forehead while the little worms were transformed into sparks of light. 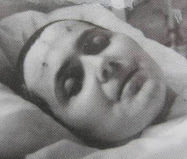 Even today the wound can still be seen on her forehead, since her body remains wonderfully incorrupt. 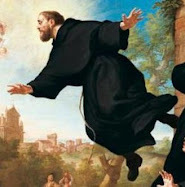 “On one occasion there came to Cascia, to preach in the Church of St. Mary, a Franciscan friar named Blessed James of Mount Brandone. This good father had a great reputation for learning and eloquence, and his words had the power of moving the most hardened hearts. As St. Rita was desirous to hear so celebrated a preacher, she, accompanied by other nuns, went to the said church. The subject of Father James' sermon was the Passion and Death of Jesus Christ. 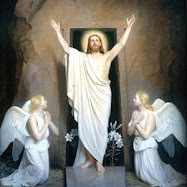 With words as if they were dictated by Heaven, the eloquent Franciscan told the old, old story ever new of the great sufferings of Our Lord and Saviour Jesus Christ. But the dominant idea of all that the Franciscan said seemed to be cen¬tered in the excessive sufferings caused by the crown of thorns. of Your Passion, as You did in the heart of my holy sister St. Clare of Montefalco. I only ask You for one of the seventy-two thorns which pierced Your head and caused You so much pain, so that I may feel a part of the pain You felt. Oh my loving Saviour! Do not refuse me this favor. Do not deny me this grace. I will not leave here consoled, if You send me away without so desired a pledge of Your love." "When St. Rita had concluded her prayerful peti¬tion, her divine Spouse, not wishing to resist any longer the desire of His faithful bride, granted her request. Making of His crown of thorns, so to speak, a bow, and of one of the thorns, an arrow, Jesus fired it at the forehead of St. Rita with such impetus and force that it penetrated the flesh and bone, and remained fixed in the middle of the forehead leaving a wound that lasted all of her life-and even to this day, the scar of the wound remains plainly visible. The pain that followed, when the thorn penetrated the forehead of St. Rita, was so acute and intense that she fell into a swoon, and she would have died then and there had not Jesus, who wounded her, preserved her life, so that she might feel, as she had earnestly desired, at least a part of the pains and torments of His Passion. On recovering herself and knowing that she had been favored with a signal and precious token, St. Rita returned fervent and heartfelt thanks to her divine Lover and Spouse. "St. Rita left the oratory bearing on her forehead the sacred wound, and on her countenance evident signs of intense suffering. On seeing the wound, the nuns were more than surprised, but they were ignorant of the mystery. St. Rita, however, guardian of the royal secret and knowing how important it was to conceal the sacrament the Sovereign King had confided to her, hid it in her bosom and revealed it to no one. "The pain caused by the wound increased day by day, and the wound itself assumed so ugly and revolt¬ing an appearance that St. Rita became an object of nausea to some of the nuns, who could not bear even to look at her. Not wishing to be the cause of the least inconvenience to the nuns, St. Rita re¬mained nearly all the time in her cell engaged in divine contemplation, and glorying, even in the midst of the pains of the wound caused by an arrow of divine love. Sometimes the nuns visited her in her cell, either to bring her some nourishment or to speak a few words with her, for they all loved her dearly. And as often as they came, they departed edified by her wonderful patience. 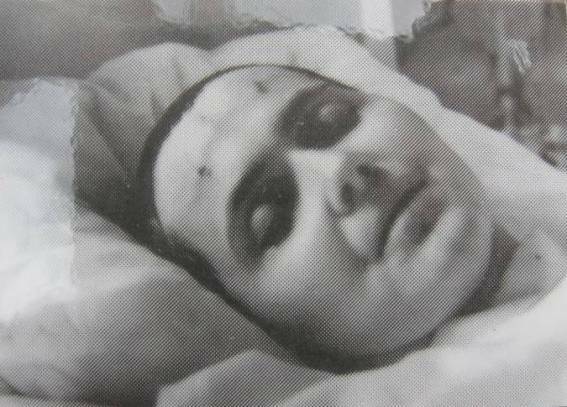 In closing, another excellent relatively recent description of the Crown of Thorns in the life of the 20th century Italian mystic St Gemma Galgani can be read here. "...My heart bleeds under the weight of suffering but my will remains united to Yours, and I cry out to You: Lord it is for them that I want to suffer .... 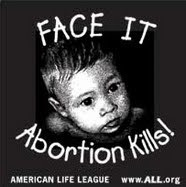 I wish to mingle my tears with Thy Precious Blood for the salvation of those I love!" What a wonderful commentary! I experienced some sort of very, very brief experience for about five minutes while in front of the Real Presence. It was very brief and I so wanted it to return. Since then, over a year ago, it hasn't returned. I just got enough of a taste to hope that God blesses me with that again. He gave me that brief taste for a reason. This article confirms that experience. I will continue to seek after God whether it returns or not. Has anyone had an invisible crown of thorns? 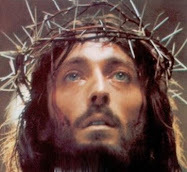 To reply to your question, in regards to the various mystics that I have read, the crown of thorns itself (the actual crown) is always not visible, while the wounds fro the crown are usually visible and are very sore an sensitive, and quite often bleed. Now, I do recall reading some instances in the lives of various mystics where there were periods where the wounds themselves (from the crown of thorns) were not visible, just like there are quite a few instances where the stigmata itself is not visible.